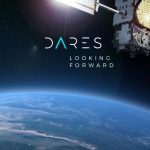 DARES has been ranked Top 3 among thousands of applying companies with the project to develop newest satellite ground motion products and services. DARES has been awarded with the Spanish Government Grant NEOTEC-CDTI which finances new R&D projects of technical and innovative companies. The grant is paid by the Technical and Industrial Development Centre (CDTI) which belongs to the Spanish Ministry of Industry. Thousands of companies applied to these grants. 73 companies were selected, and our R&D project was ranked Top 3 of all companies who presented to the grant. During the next 2 years we will be developing advanced ground motion monitoring services including newest features of satellites and technical updates. We will keep you updated about our newest developments of our products and services. The grant will include employment of highest level engineers and programmers to contribute to technological knowhow development in Spain.